Our renovations are done, our permits are here, and all official approvals have been given. Therefore, there's only one thing left to do: to reopen our doors! 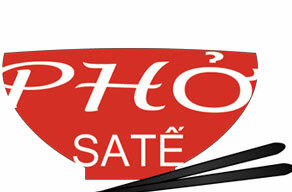 We are proud to announce that Pho Sate will be reopening on Thursday, August 8th, 2013 @11:15 a.m.! We hope you'll take some time out of your busy schedule to join us! We have made some changes to our business, and we hope you like them as much as we do! We appreciate all the support you have given us and our business, and we thank you for sticking with us through this entire journey. We can't wait to have you rejoin us as we open our doors to the public once more. If you have any questions or comments, please feel free to shoot us an email and we'll get back to you as soon as possible! Again, thank you for all your support and we hope you continue to support us in the future.